I was given a trophy as a commemorative piece from my friends at Madison Media Institute in Madison, WI. The school was in the process of being closed when they gave this to me. I had been the IT director and an instructor there several years ago. The trophy is pretty cool and at the same time, a bit heavy to carry around in the RV. 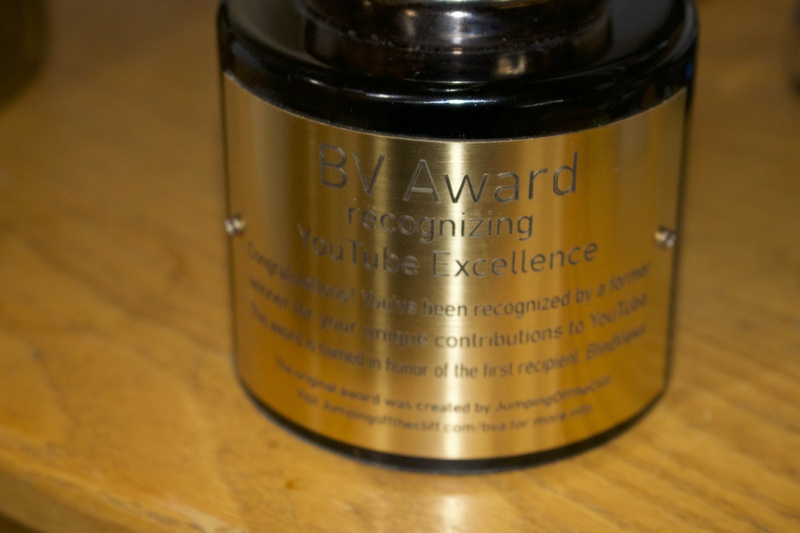 So, I decided to repurpose it as an award for YouTube Excellence. The trophy was first awarded to BlindViews. BlindViews is an artist and YouTube creator who does his own thing, without regard to getting views, etc. Anyway, I decided to give it to him and name it after him. 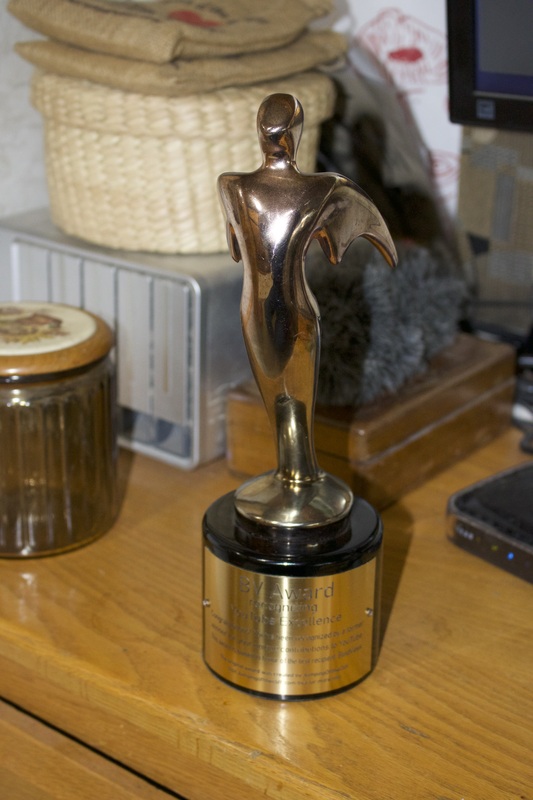 The award works like this: if you are honored by someone choosing you, you are now the next person to award it to another YouTube creator. There are no criteria defining who you award it to or even why. Hopefully, it will be because somebody made an impression on you by posting videos that make the world a better, more interesting and fun place. The only thing I ask is that you make a video about who you are giving it to and why. If you’ll be kind enough to send me a link to the video, I will add it to a playlist so we can all see who has been honored. That’s all there is to it. Hopefully, some day, you’ll get the BVA! You can send the video link to me via email to george@jumpingoffthecliff.com. We Moved and Our Philosophy On Campgrounds.